Rosca have many years experience of providing Professional Industrial Cleaning Services - from plants to factories, from workshops to warehouses. We fully understand that safety must always be a priority. Sustainable solutions are possible however, even in the harshest of settings. 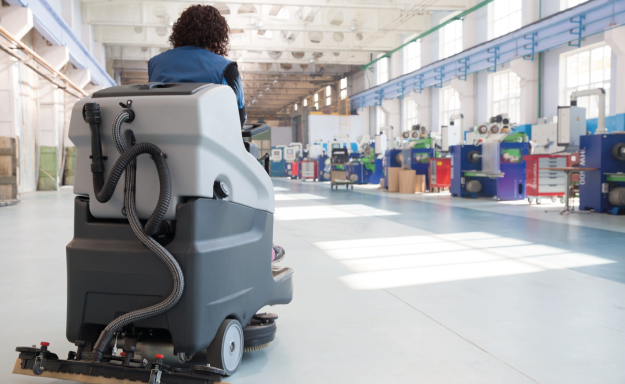 Whether you have a factory or distribution center, these types of industrial facilities are often the most challenging environments to keep clean and safe. Health and Safety legislation must be adhered to at all times, whilst still delivering effective cleaning standards. ROSCA will work alongside your company to reduce the impact of your industrial cleaning services on the planet. We will work tirelessly to ethically source the most appropriate green products, and provide full training to our staff to ensure their effective use. Our Industrial Cleaning Service includes a wide range of options, ensuring a service solution where you need it most. Keeping buildings and machinery clean, reduces maintenance costs and helps your facility operate at peak efficiency - with measurable economic benefits. In today's highly competitive markets, this is essential. We carefully adhere to Health and Safety at all times and we work closely with you to ensure all industrial cleaning services provided are carried out to the very highest standards. First impressions are everything and recent studies have shown that the cleanliness of your facilities plays a vital role your potential clients consideration of your services. A professional image is important. That's why each Rosca Industrial Cleaning employee is fully uniformed and easily identified with a Rosca name badge. You can be confident that your customers and employees will appreciate your professional image and choice in partnering with Rosca for your Industrial Cleaning Services. Trust in Rosca as your preferred partner, to help show your clients a reason to partner with you.